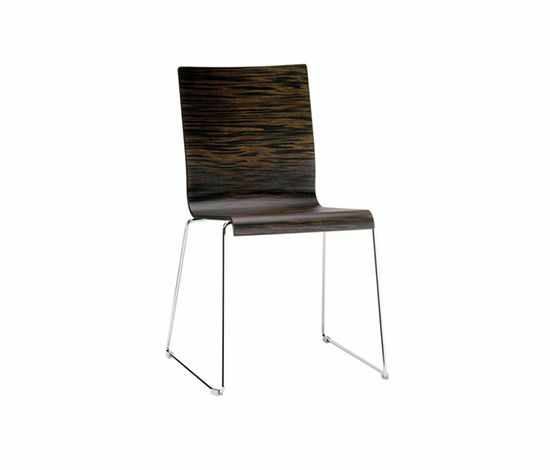 Kuadra chair with multilayer shell wengé veneered and chromed steel rod frame diam. mm. 10.